In early December, Ed and I went to the Naish Maui Pro Center to get a couple of SUP surf boards. We planned to mix up our water fun as we already were loving time on the Naish Glide. We were greeted by a warm smile and limitless expert help from Martin Verrastro. In no time, we felt like old friends as he showed us various boards, inquired about our abilities and where we’d be surfing. By the time we drove happily away with two Naish Mana 9’5″ boards on the roof of the car we’d learned so much about all the cool Naish options. Martin provided one more example of the sort of watermen (and women) who are part of the Naish culture. 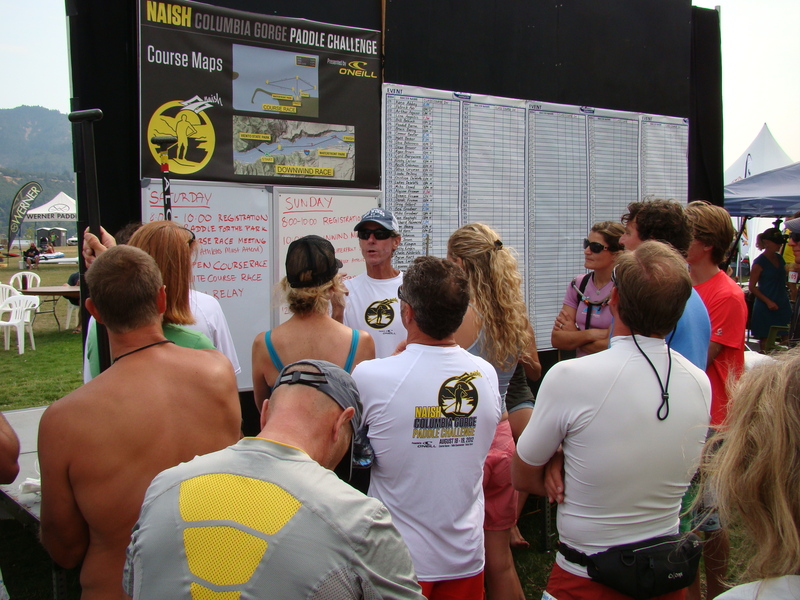 Naish team riders come to mind when we think of “the face of Naish,” but it’s the entire Naish team from corporate, to store, to the water that live and share the vision and mission. I’d like to introduce you to Martin, as an example. In May 2009 as a network engineer at an IT company in Orange County, Martin felt it was time to follow the dream he had when he first began windsurfing – to teach windsurfing and Kiteboarding in USA like he had during summers in Argentina. I heartily agree with Martin’s wish that I might meet Jak one day. I have no doubt he’s as an amazing person as Martin described. The Gorge is where Martin discovered SUPing. Many events take place at Waterfront Park on the Oregon side of the Columbia River. 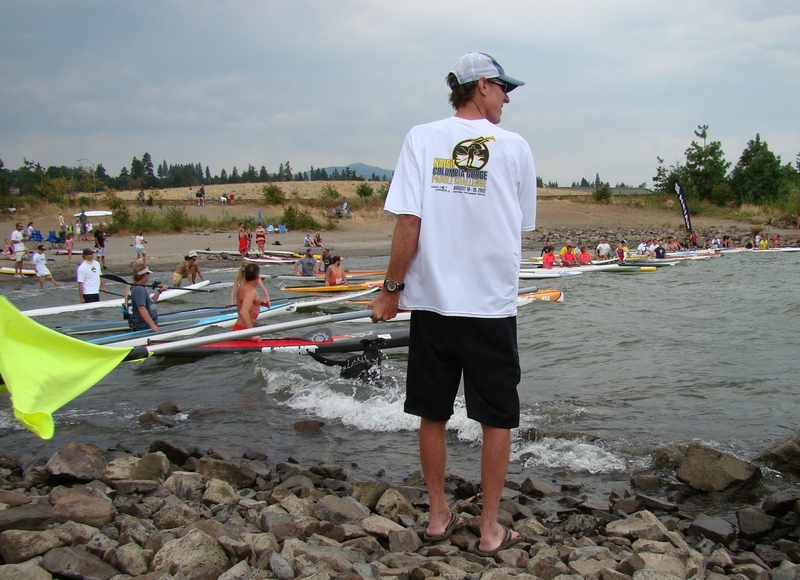 He used to paddle with his friends from the event site, in the Oregon side to the hatchery in Washington side when the wind was off. By the end of September along the Columbia River as the weather changes to Fall, wind conditions aren’t so stellar. The changes sent Martin back to California full of great memories and experiences. He set his sights on Hawaii and teaching windsurfing and kiteboarding for “Action Sports Maui” owned and operated by the training director of IKO “international kiteboarding association” David and Suzie Dorn. At the same time he did fiberglass repairs for Kanaha Kai, a windsurf and SUP, surf shop in the north shore. 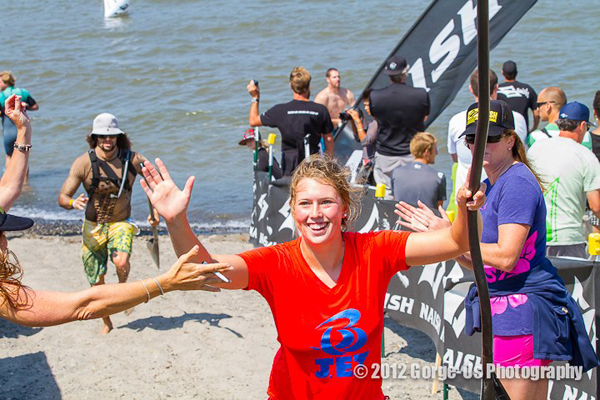 Marti’n has the experience, passion and personality to make a windsurfer from a “newbie. In Marti’n’s opinion, this gear should be the standard for entry level windsurfing in all the schools around the world because it makes learning windsurfing really easy and enjoyable. When I’m teaching Kiteboarding and when I’m riding myself I love the new ride. It is an all-round, entry level kite that offers great low end, effortless water re-launch and has a 2-strut design. Kiteboard: Naish Gun 6′ 2012 (Full Carbon Sandwich Construction) is my favorite. It’s the perfect board for the Maui gusty winds and waves, it offers outstanding control in strong winds and choppy water with excellent stability. I really love the Mana 10’0, for small surf and flat water. It has an exaggerated tail rocker for great turning performance. It’s wide and easy to maneuver, has 210 Liters, and a single-concave bottom shape. For a downwinder when I’m doing t the “classic 9 mile Maliko Run, from Maliko Gulch to Kahului Harbor” in the northshore of Maui, I prefer the Nalu 11’6. Without a wave in sight, an active bunch of standup paddlers have found a perfect place to hone their skills and enjoy their SUP adventures – in Lake Pleasant near Phoenix, AZ. Stand up paddle boarding in AZ is fortunate to have a leader like Chandler local, Chad Brockman. Chad Brockman enjoys paddling with a friend! Chad has a versatile business and provides a myriad of resources for SUPers in Arizona. As an instructor, he provides a strong foundation for the sport, especially for newbies, by instructing them how to learn and practice the proper stroke. Water is a haven from heat, a great medium for fitness, but it can also be a powerful, even destructive, force. Chad includes lessons on how to read the water and be safe in and around a variety of waters. Chad has been living in and around the water for 51 years. That experiences has included plenty of adventures, but also some trials and tribulations. “Talking story” and sharing insights based on experience adds to the value of Chad’s instruction. Chad explains, “SUP Health not only improves your physical condition, it will gift you with a healthy mental outlook.” Part of starting new people on standup paddling is giving the “straight scoop” about purchasing the right equipment. Being able to grow into, not out of, equipment saves money and frustration in the long run. We could not agree more. If you live in AZ you have a super resource available. Whether you are recovering from an injury or simply want a way to have fun with friends and family and escape the intense heat, SUP is the way to go. Anyone can do this! Standup paddle boarding can be done any time of day, even by the light of the moon. 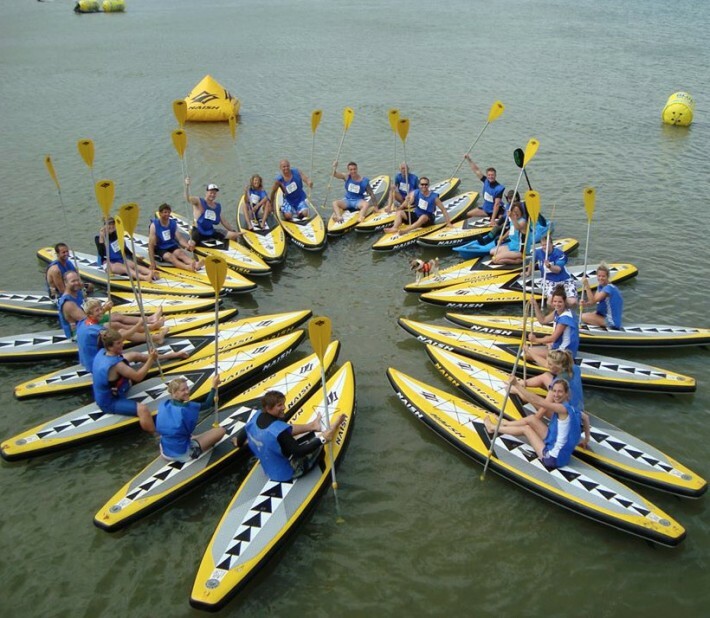 Join Arizona Standup Paddle for what could be the most fun you’ve had on the water! Chad Brockman is a bona-fide waterman with over four decades of experience world-wide. 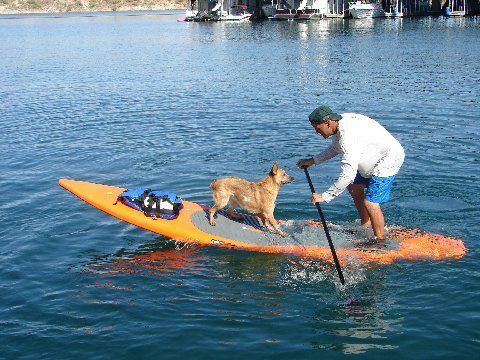 He has been introducing this new sport of SUP to the valley for five years. Chad has become an ACE Certified SUP Fitness and a World Paddle Association Safety Instructor. The state of Arizona offers great weather year-round. Stand-up-paddle boarding is growing as more and more people, products and places are being discovered daily. This is a great opportunity to try out this new sport. We all like walking on water, now we can run! And get wet, and have fun with our dogs!